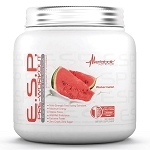 Tired of your pre-workout not giving you enough boost? StimMax is has been formulated to do exactly what the name implies, provide stimulants to the maximum! StimMax contains the most powerful ingredients and their analogs in highly efficacious doses. More than just a stimulant, StimMax contains potent nootropics for razor-sharp focus and attention as well as anxiolytic agents to give you all the blast you love without the feelings of stress and anxiety. Scientifically-validated ingredients in StimMax give you the burst of energy you need to perform at your MAX in the gym or any time you need a big pick-me-up. Caffeine Anhydrous – The world’s most popular supplement in a whopping 425 mg per serving dose for superior energy, attention, and performance. Choline Bitartrate – A precursor to the neurotransmitter, acetylcholine, which is responsible for neural signaling in the muscles and brain. Huperzine A – Huperzine complements Choline Bitartrate by stalling the breakdown of acetylcholine, further increasing the nootropic and ergogenic effects of acetylcholine. N,N-Dimethylphenethylamine Citrate – DMPEA is like DMAA, but safer. DMPEA increases neurotransmitter abundancy and function. Methylliberine (as 40% Dynamine) – Methylliberine is a metabolite of caffeine and theacrine that has been reported as stronger than theacrine for even more focus. These, along with 4 more, ingredients are the ultimate combination for the most powerful preworkout ever. StimMax is a real game-changer, firing on all cylinders for increasing energy, attention, focus, and performance in the gym. StimMax can also be used as a robust nootropic on any occasion that requires some serious productivity. Don’t allow yourself to miss out on the chance for an unparalleled preworkout experience – go with StimMax.